The 2016 Young Entrepreneurs Academy will kick off on January 5, 2016 as an after-school program at the Oneonta Middle/High School. The program will meet weekly on Wednesdays from 4:00-7:00 p.m. at the school. Application deadline is December 10, 2015! Download the 2015-16 Otsego Application Here. Connect with YEA on Facebook! Click the icon and Like our Page! The Young Entrepreneurs Academy (YEA!) is a year-long program that teaches middle and high school students how to start and run their own REAL businesses. YEA! was developed at the University of Rochester in 2004 with the support of a grant from the Kauffman Foundation. The Otsego County Chamber is excited to be introducing YEA! to the Otsego County Communities! YEA! guides high school students through the process of starting and running a legitimate business or social movement over the course of a full academic year. As of 2013, YEA! has graduated 1,394 students who have started over 1,000 businesses and social movements! YEA! graduates started as students, and left the program as CEOs of their own companies! 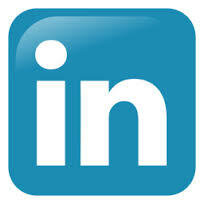 Connect with YEA on LinkedIn! Learn about real businesses – why they succeed or fail. Launch their own business or social movement! Become more confident in their ideas and their abilities. YEA! classes will meet October through May, for three hours weekly. Applications will be accepted from students in grades 6-12. There are no classes during regular school holidays and recesses. Students are taught by an instructor, but are exposed to guest lecturers, successful entrepreneurs and business mentors. The class goes on field trips to a variety of local businesses. Finally, the students participate in three major events throughout the year: the Investor Panel, Trade Show and a formal graduation ceremony. Once the completed application packet is received, students will be asked to come in for an interview. Acceptance in the program is based on all aspects of an application, as well as the personal interview. Prior experience with business is not required! Through their interactions with business professionals during the year, YEA! students gain some of the most important knowledge and experience they need to succeed. Local professionals volunteer their time and expertise as guest speakers, mentors, investors, graphic designers, field trip hosts, business plan reviewers, and much more. The time YEA! students spend with adults who encourage their futures is invaluable, and participants often report getting even more out of their participation than they put in to it! If you are interested in becoming involved with YEA! as a guest speaker, fieldtrip host, or volunteer, contact Barbara Ann Heegan at (607) 432-4500 or by email at [email protected]. A big thank you to our founding sponsors, who have helped bring YEA! to Otsego County Communities!